The Pacific Northwest has two decent chances at seeing wintry weather over the next couple of days. 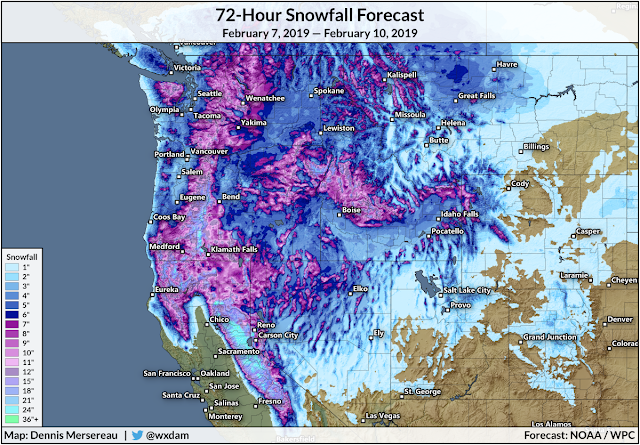 The first storm could produce up to half a foot of snow at the lower levels in northwestern Washington, while the next storm, which arrives by the middle of next week, could bring the region another shot at accumulating snow. Seattle, which has already seen more snow (2.7") than Boston (2.3") so far this winter, could lap the Massachusetts capital several times before they have a chance to see some snow of their own next week. Several inches of snow are possible along the I-5 corridor in Washington and Oregon over the next couple of days. The snow will start in northwestern Washington during the day on Friday and last through Saturday morning. The current NWS forecast calls for 4-6 inches of snow across the interior lowlands, including Seattle, Tacoma, and Everett, with higher totals at higher elevations. The snow on Friday and Saturday won't be too big of a deal down near Portland and Vancouver, but an inch or two of snow can still lead to slick roadways and slippery sidewalks. The NWS forecast for the Portland area actually shows the best chance of accumulating snow on Sunday night, where a couple of inches is possible. Much like we see in cities back east, it's hard to get a big thump of snow at lower elevations in the Pacific Northwest, especially near the ocean where the water has a moderating influence on temperatures. Nevertheless, it still does snow in cities like Seattle and Portland. 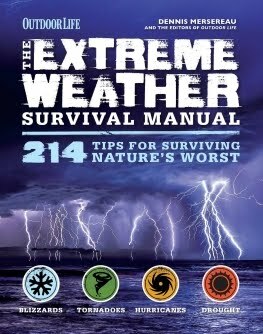 Seattle averages a couple of inches of snow every year. Seasonal snowfall totals in Seattle can reach the double-digits, but big snows are far less common here now than they were in the 1950s through 1970s. Another storm is possible toward the middle of next week, but it's too early for details. Again, a lot has to go right to get a good snowstorm in the lower elevations in this part of the country, so be wary of specifics too far ahead of time. Everyone near Boston knows that the 2.3" "official total" is a complete farce. Most areas around the city are closer to 6-9", which still is well below normal. There's a CO-OP station in Jamaica Plain, which is on the western side of Boston (within the city limits), that has 8.4" so far this season. Blue Hill Observatory, 10 miles southwest of Boston has 12.4" so far.